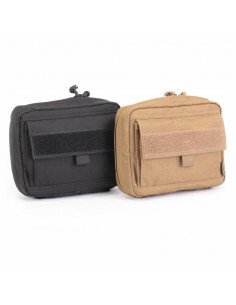 The UTactic Messenger Bag is a bag for every day that can be used in urban and in the field conditions. 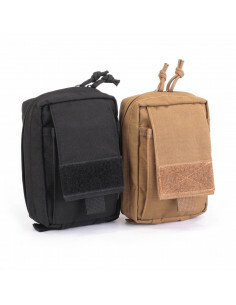 Concealed MOLLE VELCRO panel allows to use the bag both civilian and tactical tasks. 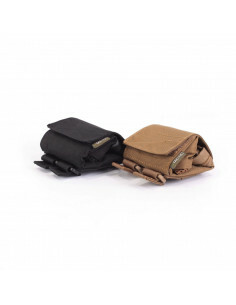 Safety pockets for laptop and tablet will reliably protect the gadgets from mechanical damage. The internal Velcro panel on the backside allows to fasten the holsters and other pouches to the Velcro, the two sides and top quick access inputs enable the quick extraction. The central compartment with a zip-fastened valve is additionally fixed with two fastex closures, and also has a quick-access input on the top of the valve. 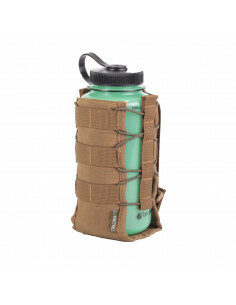 The valve has a MOLLE VELCRO panel for fixing patches, identifiers on Velcro and pouches with MOLLE interface, the panel can be hidden via flap that, if necessary, hides in a secret pocket. Inside the central compartment there are two protected pockets for gadgets with volume adjustment, two organizer pockets and one inner pocket with a zipper. On the front side of the bag under the valve is a mash volumetric zipped pocket. On the back outer side there is a flat pocket with two zipped entrances, which allows to use it as a pocket and to fix the bag on the travel case. The central shoulder strap adjustable in length is fixed to the bag with the fastex closures, and has a removable soft dampener. 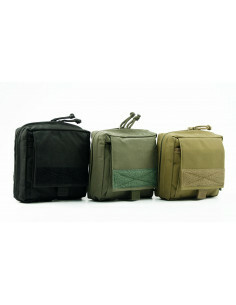 Complete set includes a removable side lock that allows securely lock the bag in "over the shoulder" carrying. Overall dimensions 41 х 14 х 30 сm (length, width, height).